Designed by Pelli Clarke Pelli Architects, ARIA will feature unprecedented combination of exclusive guestroom technology, spectacular amenities, personalized attention and sustainable design. The soaring 4,004-room steel and glass beauty will be the centerpiece of CityCenter with a sophisticated, modern design demonstrably different from any building that has preceded it. In ARIA’s reception area, famed artist Maya Lin is creating an approximately 84-foot silver cast of the Colorado River, which will be her first work of art displayed in Las Vegas. ARIA will feature an array of dining experiences, from the casual comfort of bistros and cafes to culinary masterpieces from world-renowned chefs and restaurateurs including Masayoshi Takayama, Shawn McClain, Michael Mina, Julian Serrano, Jean-Georges Vongerichten, Sirio Maccioni, Jean-Philippe Maury and The Light Group. Cirque du Soleil will present a hip-swiveling production celebrating the timeless musical legacy of Elvis Presley. ARIA’s guests also will enjoy premium meeting experiences with 300,000 square feet of technologically advanced meeting and convention space; a luxurious spa offering a complete menu of skincare, massage and hydrotherapy treatments to be enjoyed in its 62 individual treatment rooms and three spa suites; and the most technologically advanced guestrooms in the country. ARIA’s spectacular pool deck will be a tropical oasis in the heart of the desert. Shielded by lush plantings of oversized palm, acacia, pine and bottle trees, the soft and sensual paradise will feature three primary pools, a European pool, hot tubs and luxurious cabanas. Concierge service and reservations for spa, salon and restaurants will be available beginning in October. Nightly room rates ranging from $179 to $799; suites range from $500 to $7,500. Reservations can be made for Dec. 17 and beyond via www.AriaLasVegas.com or 866-359-7757. 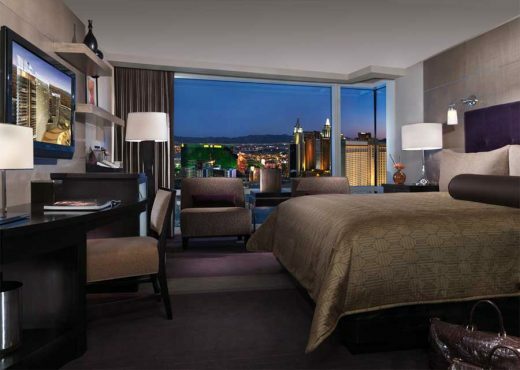 LAS VEGAS – February 23, 2009 – CityCenter is now accepting reservations for Vdara Hotel and ARIA Resort & Casino. Opening October 1, Vdara will be the first of CityCenter’s spectacular developments to debut, followed by Mandarin Oriental and Crystals retail and entertainment district in early December. CityCenter’s grand opening celebrations will culminate with the launch of ARIA Resort & Casino Dec. 16. Located between Bellagio and Monte Carlo resorts, CityCenter will become the cultural centerpiece of Las Vegas and bring a new level of environmental consciousness to the world-famous Strip. An architectural achievement that integrates the talents of world-renowned artists, architects and designers, CityCenter will attract visitors from around the world as a landmark of global taste and style. In addition to Vdara and ARIA, CityCenter will feature two luxurious non-gaming hotels including Las Vegas’ first Mandarin Oriental and The Harmon (slated to open at CityCenter in late 2010); Veer Towers, the development’s only strictly residential buildings; Crystals, a 500,000-square-foot retail and entertainment district; and a $40 million public Fine Art Program. 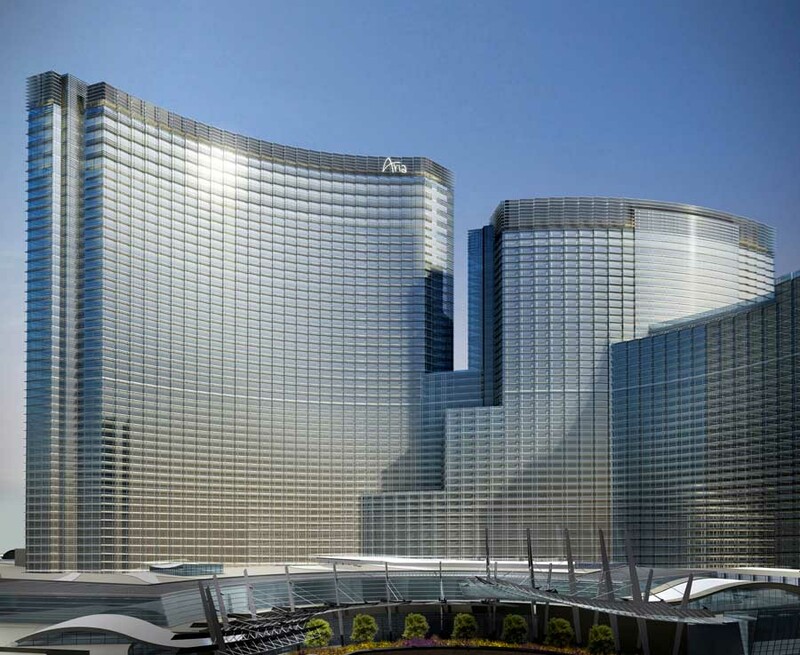 Vdara, Mandarin Oriental and Veer Towers will include approximately 2,400 residences total. CityCenter is a joint venture between MGM MIRAGE (NYSE: MGM) and Infinity World Development Corp, a subsidiary of Dubai World. “The launch of reservations for Vdara and ARIA brings us one step closer to the opening of this magnificent urban resort destination, which will introduce a new generation of Las Vegas experiences and become the benchmark for hospitality across the globe,” said Bill McBeath, president and COO of ARIA Resort & Casino.